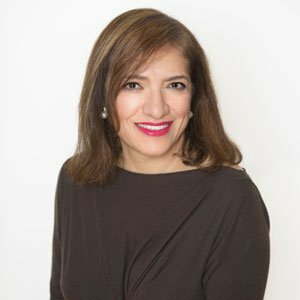 Nooshi Naderi brings an unusually calm presence to buying and selling homes. She combines this with decades of financing experience and a deep knowledge of the San Francisco real estate market, to ensure your journey is efficient, effective and easy. Nooshi employs a comprehensive approach to finding you the right residence or investment that fulfills your needs and wishes, or to selling your property at the highest price in the shortest amount of time. Nooshi offers her clients a unique combination of heart and head. She is always positive and never pushy, deeply compassionate and unfailingly honest. She is also a tenacious negotiator with extensive analytical skills and financial expertise. From project proposal to closing, Nooshi ensures you have the strongest, most knowledgeable representation, and the easiest, least stressful buying and selling transactions. Highly recommend her as your agent to buy or sell your house! “I have been Nooshi’s client for the last 15 years and can testify on her high performance and her most professional and ethicalI approach to her services in the past. But I can’t say enough about the amazing job Nooshi performed in the recent sale of my condo in San Francisco this year! I was going on a long trip overseas and 10 days before my departure I decided to sell my condo. I discussed it with Nooshi and she said let me think about it! I wasn’t sure if it is even possible to do, but Nooshi did her research and spoke to an attorney and came back to me with the good news that she can do it! She handled everything from staging, inspections, dealing with my HOA. She reported the progress to me via email regularly. She held an open house for two weekends and the Condo was sold with no issues after 3 weeks. She coordinated with my daughter who had a power of attorney to sign documents in my absence. She handled this transaction so smoothly with no stress for me! Unbelievable! I recommend to all my friends and family members. I would hire her again in a second. “Nooshi is sharp as a tack. She does the homework, comes prepared. A real doer. I would hire her again in a second. I recommend Nooshi Naderi without any reservation. It was a pleasure working with Nooshi! Nooshi is the best realtor I’ve ever worked with. Nooshi is an excellent agent. “Nooshi is an incredible real estate agent and an absolute pleasure to work with. As first time home buyers and in the crazy San Francisco market, Nooshi helped us with the whole process. She was patient, understanding and explained every step of the journey to ensure we were comfortable. She starts by listening and understanding the needs of her clients. Nooshi is sharp as a tack.